The St. Louis Tax Increment Financing Commission voted to activate the last two phases of the Northside Regeneration project Wednesday morning, which has more than $190 in TIF funding. Six commissioners voted yes with one, Ken Hutchinson, abstaining. It now will move to the Board of Aldermen where the Housing, Urban Development, and Zoning committee likely will hear it. 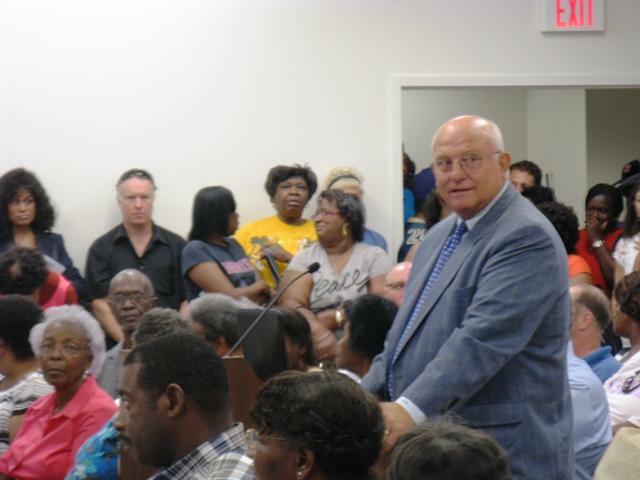 Paul McKee told the TIF Commission at the meeting he has two major industrial users interested in moving into the area bringing a total of 250 jobs. "TIF helps recruit jobs," McKee said. He also revealed a plan for a Master Association, in which residential and commercial property owners could create and maintain design standards and public areas. McKee says that piece of the plan must wait first for aldermanic approval. The project had been stalled for more than three years after a lawsuit challenged the nearly $400 million TIF the Board of Aldermen approved in 2009 for Northside Regeneration. 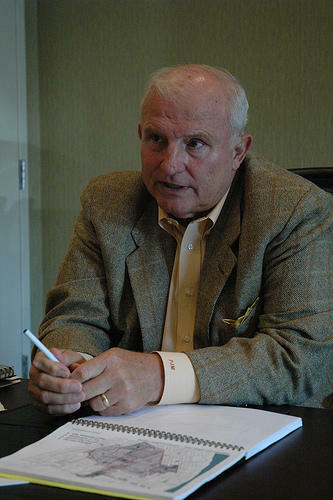 After the Missouri Supreme Court ruled earlier this year that the financing was constitutional, “it’s like the lights came on the north side,” McKee said of commercial interest in the $8 billion project. Zach Chasnoff with Missourians Organizing for Reform and Empowerment (MORE) handed out fliers outside the room. He said his group will not try to fight the TIF bill as a whole, but rather seek amendments from the Board of Aldermen that will benefit residents. "I think we can get the amendments attached," Chasnoff said. "I don’t think they’re huge crazy asks." The amendment to the TIF bill likely be filed at the Board of Aldermen Thursday, and McKee says he hopes to see it in committee next week. An $8.1 billion plan to remake a big chunk of north St. Louis continues to face stiff opposition, four years after it was first made public. More than 200 people, most of them opposed to the Northside Regeneration Initiative, packed the St. Louis city Tax Increment Financing Commission meeting today urging its members to spike the project completely. 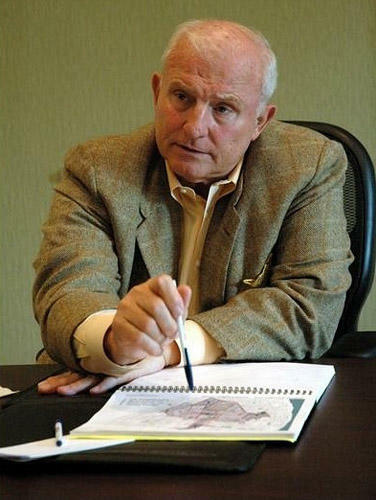 After over 3 years of litigation, developer Paul McKee’s controversial Northside Regeneration Project is being allowed to proceed. On Tuesday the Missouri Supreme Court reversed a lower court decision blocking McKee’s use of so-called "Tax Increment Financing," (TIF) for the development. 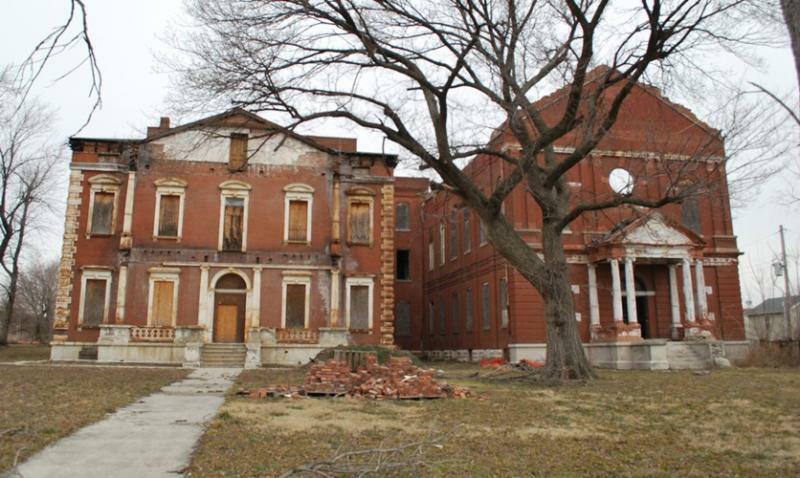 A huge redevelopment project on St. Louis’ north side has been in a holding pattern for years. The Missouri Supreme Court could rule on the case as early as Tuesday. But as St. Louis Public Radio’s Maria Altman reports, the years of waiting for work to begin have left questions about whether developer Paul McKee can really pull off his expansive plan.